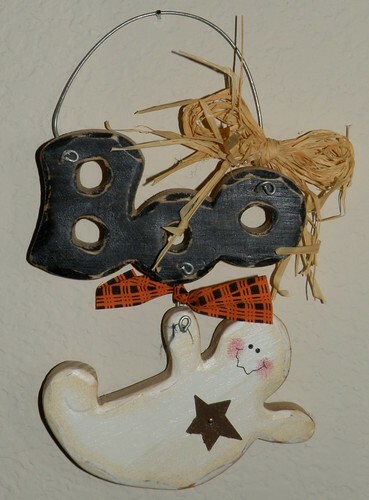 I’ve temporarily taken down the Fall decor and busted out the Halloween stuff! 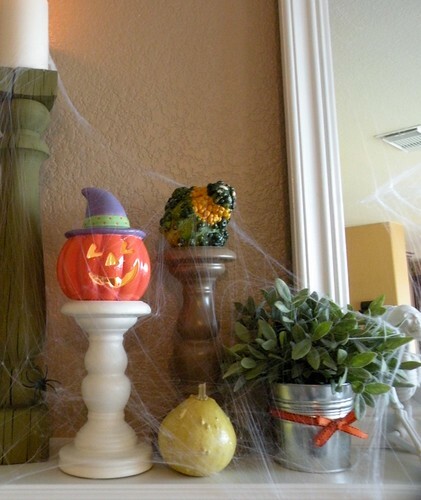 I’m more of a “cutesy” seasonal decorator. 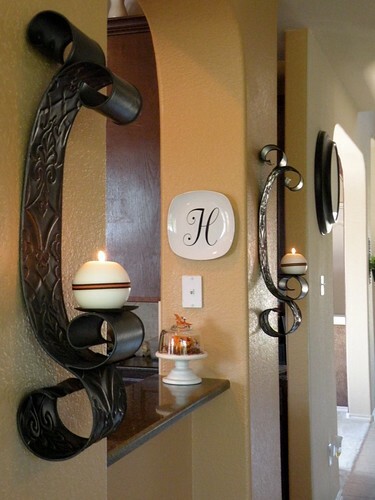 I painted the wreath black as well as the candle stick that I bought months ago. For the wreath I decided to go low-key. 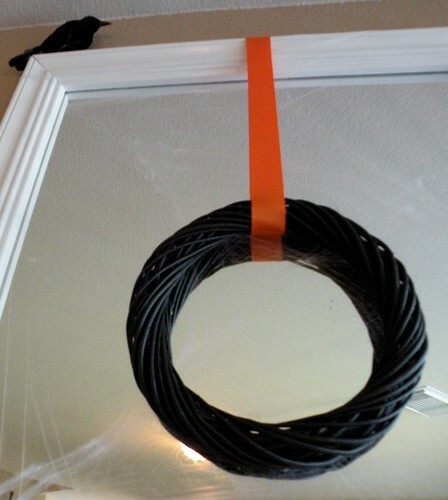 I just painted a wreath black and hung it with a 1 1/2″ thick orange ribbon. I was planning on doing more detail on the wreath, but once it was painted I really liked it plain. 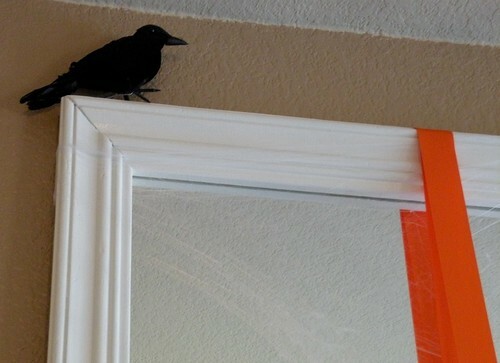 I love my little crow perched up on top of the mirror. Subtle and spooky. Open here I flung the shutter, when, with many a flirt and flutter, In there stepped a stately raven of the saintly days of yore. I bought this little guy from the Dollar Spot and gave him a fresh coat of white spray paint for plastic. Cutesy and glitter make me giddy. 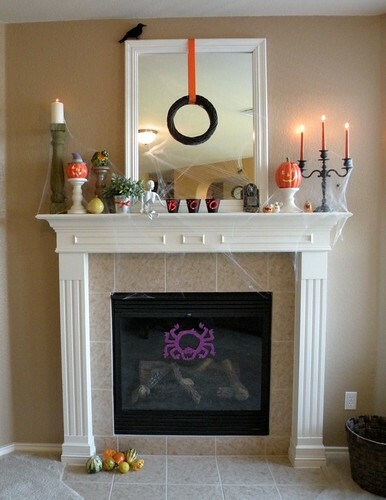 And the Halloween mantle is DONE. 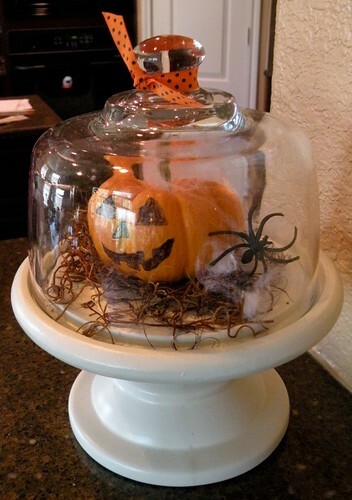 I turned my fall table piece into a Halloween one by adding some moss and ribbon. 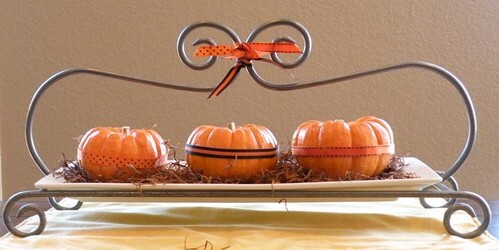 Little bits of ribbon can make anything look festive! 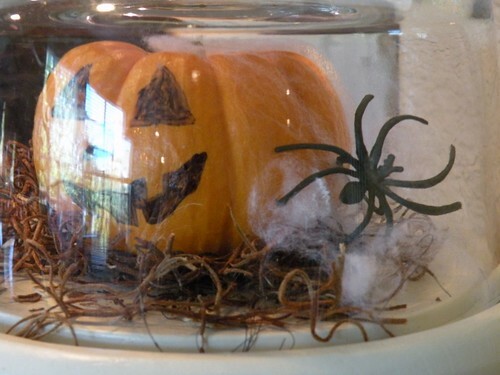 Isn’t it cute with the moss and spider and web? 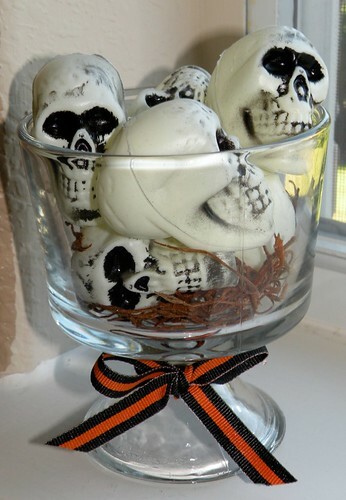 Who can resist a mini truffle dish with moss, skulls, and a bow? 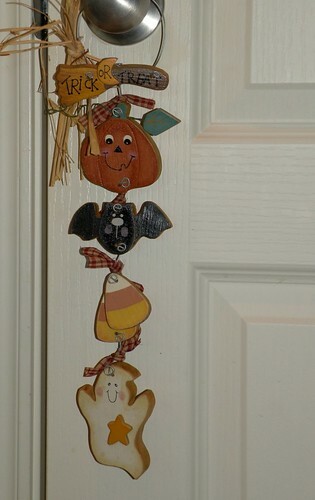 I wish I could take credit for these, but I bought them years ago on a mega after-Halloween sale. 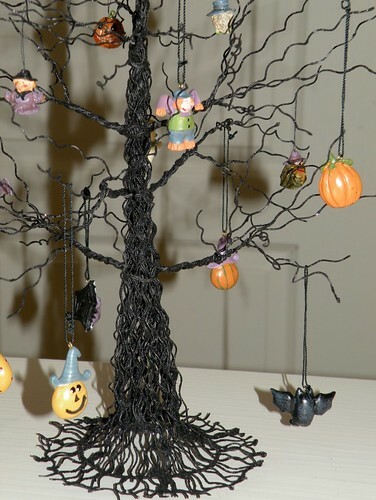 And of course Halloween just isn’t complete with a spooky glitter tree! 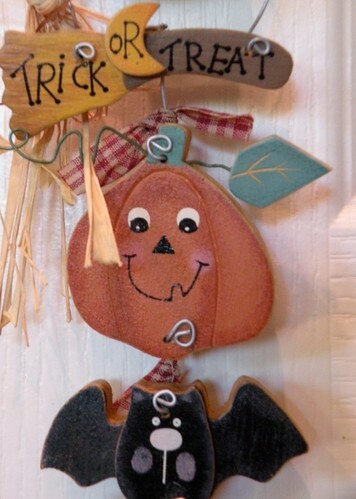 I love your decorations. The wreath is so simple yet so stunning. Thanks for sharing them with us. 😛 I love it….all of it!!! i agree about the wreath! it looks like it got burnt up and died! perfect. 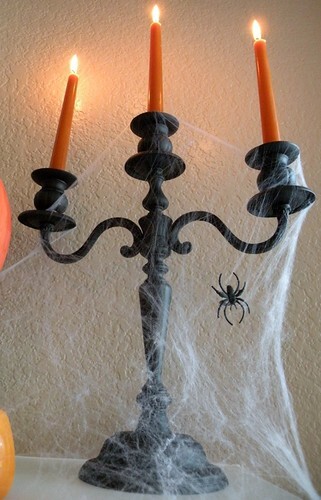 Oh the spiders just give me the creeps!! Love it!!!! 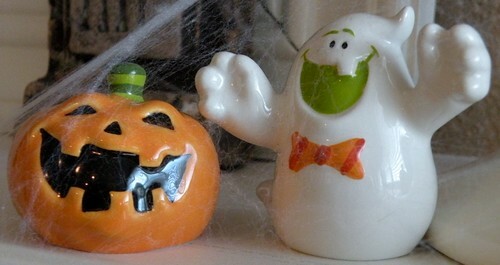 I love all of your halloween stuff! I wanted to do some of the spider web stuff but I just don’t quite trust myself with it! 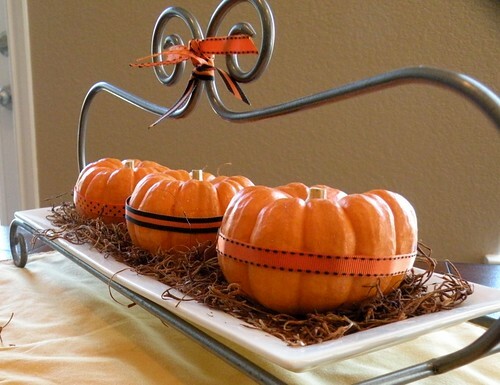 Also, I love, love, love your fall posts! 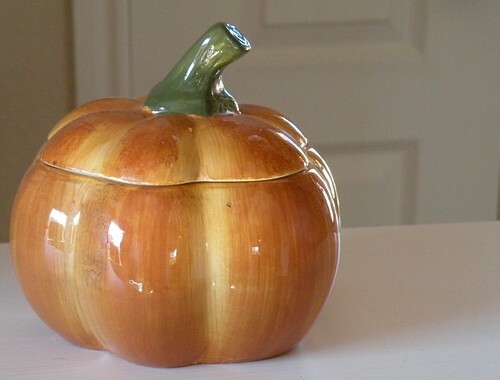 I am planning on starting some basic fall crafts next week so you will have to come and check it out! My computer has been dead for the last week and a half but I wanted to say thank you for featuring me on the 29th! 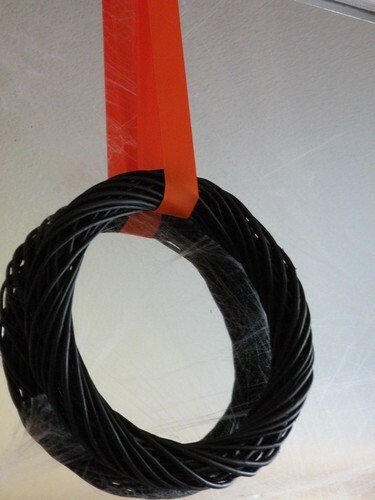 You mean you actually have to “creat” spider webs? 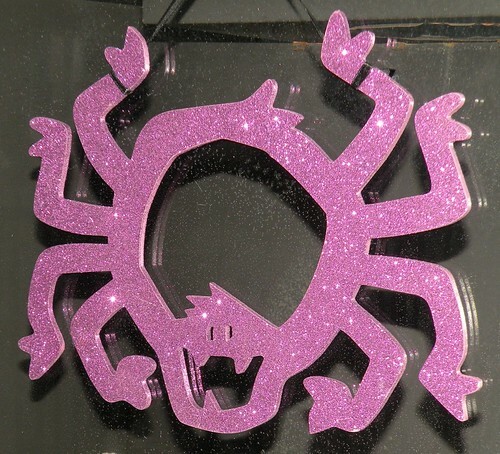 Hmmmmmm maybe you need more spiders I can send you some! Very cute! 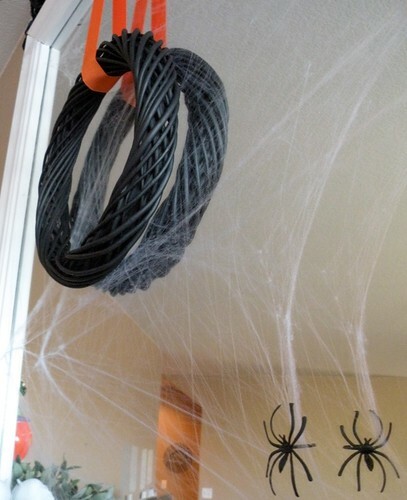 I tried to use a spider web and spider last year and the spider kept creeping me out. LOL! Looks great! I love the wreath too! So simple but makes such a statement! 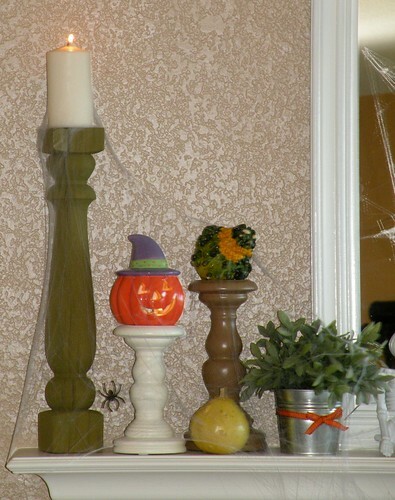 What a fun mantle! Very welcoming! Wow! 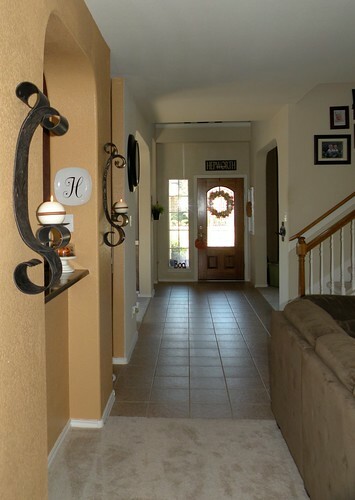 It’s all gorgeous – thanks for sharing! 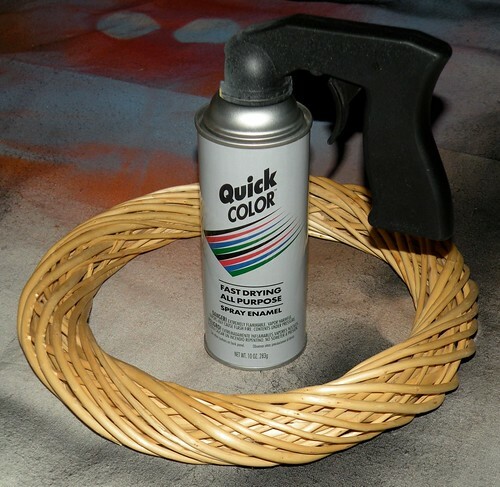 Your wreath is great – sometimes less IS more. It looks fantastic. 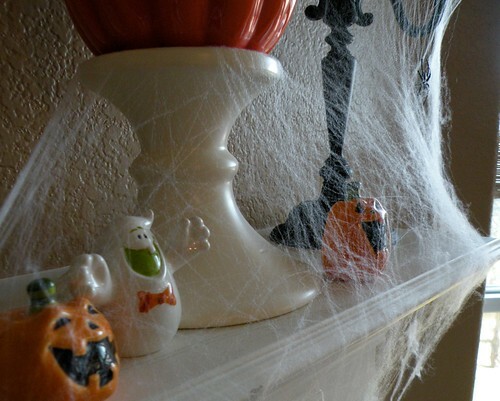 And I LOVE the spider webs! They look effortless AND real. You did a great job!! VERY nice. I love all of your ideas. Wow! This is fantastic! I hope you’ll come link it up to my Halloween party this weekend. http://www.whilehewasnapping.blogspot.com. It would be such a great addition! It looks wonderful! Ca-ute! 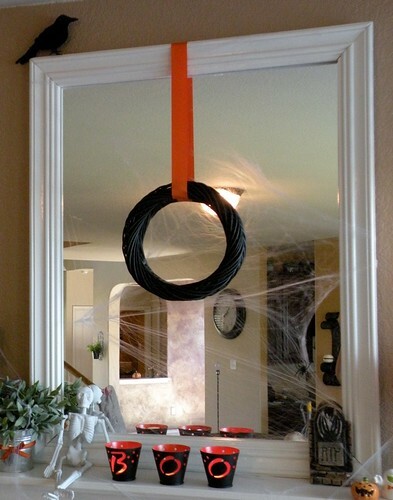 Such a simple way to do a Halloween wreath!? I think I may have to try that! 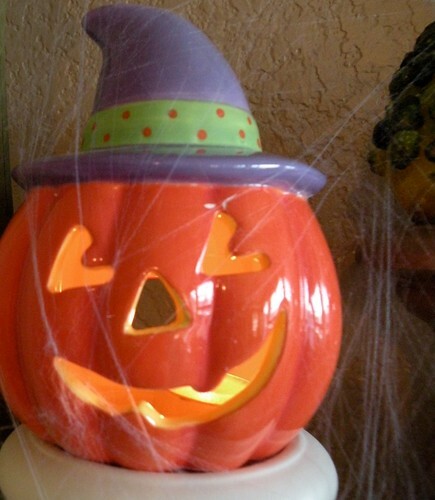 Thanks for linking up to The Halloween Scene at SSB! So cute! 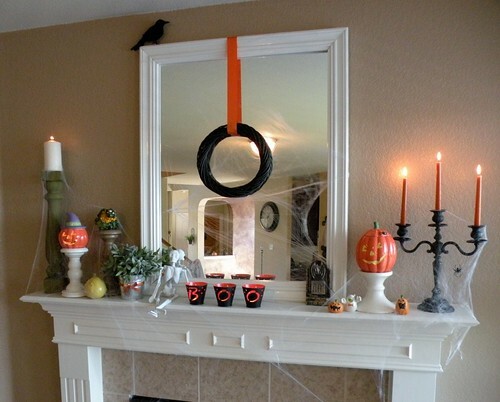 I love your simple black wreath and the crow in the corner. Thanks for lining up Allison! 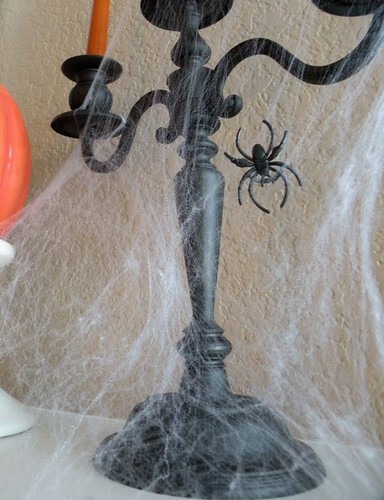 Love your Halloween decor. 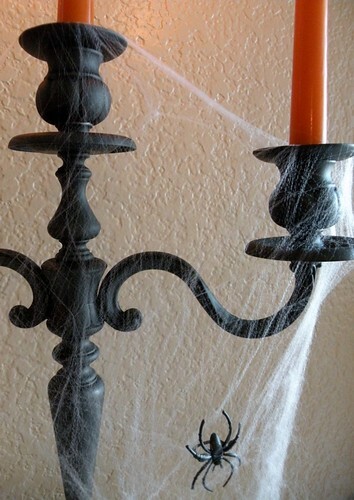 The spider webs are always the perfect touch! 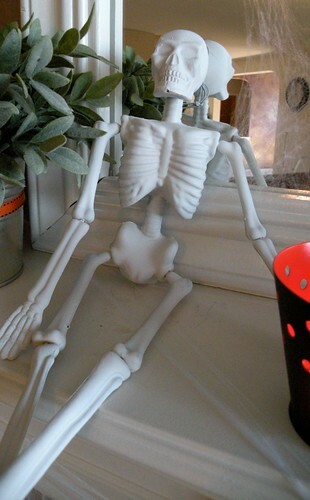 And that skeleton does look better painted! I bought one, I may have to paint him. 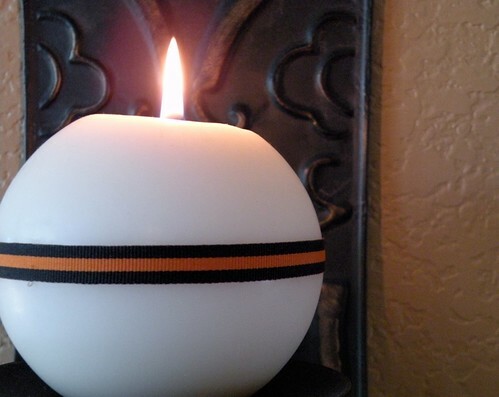 That is one cute mantel. 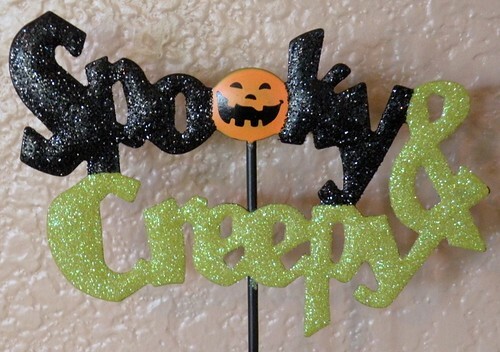 Love all the cutesy spookiness. I love the Spooky glittery tree! Did you make it or buy it?